Dune Allen Beach is an extraordinarily beautiful beach village where you will discover fabulous family beach vacation homes between the Gulf of Mexico and three “unique to the world” coastal dune lakes: Allen Lake, Stallworth Lake, and Oyster Lake. Located on the quiet western end of 30A, Dune Allen Beach is an amazing place to experience your Florida vacation, especially if you are an outdoor enthusiast and nature lover, as the beach and rare coastal dune lakes present nature like no other place in the world. 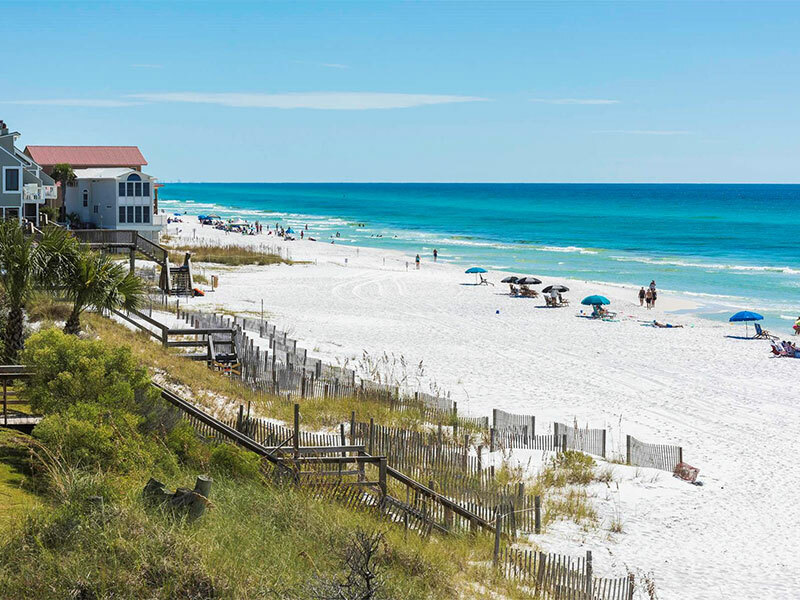 Here your family will enjoy hiking the amazing trails of Topsail Hill State Preserve or biking the Scenic 30A bike trail that runs from Dune Allen Beach to Inlet Beach. This gorgeous 30A community is a favorite of beach vacationers who appreciate a quiet beach far from the crowds. Dune Allen Beach simply has it all – luxury beach vacation homes and charming old-Florida beach cottages, and all of our Dune Allen beach rentals are within walking distance to everything your family needs for the perfect beach holiday: great outdoor activities, art galleries (including hands-on workshops by the Artists of Gulf Place), fine boutiques, cafes, and popular restaurants like Stinky’s Fish Camp (don’t let the name fool you! ).